The vibrant colours of this canvas print reflect its message of hope, resilience and the joy of life in the face of adversity. 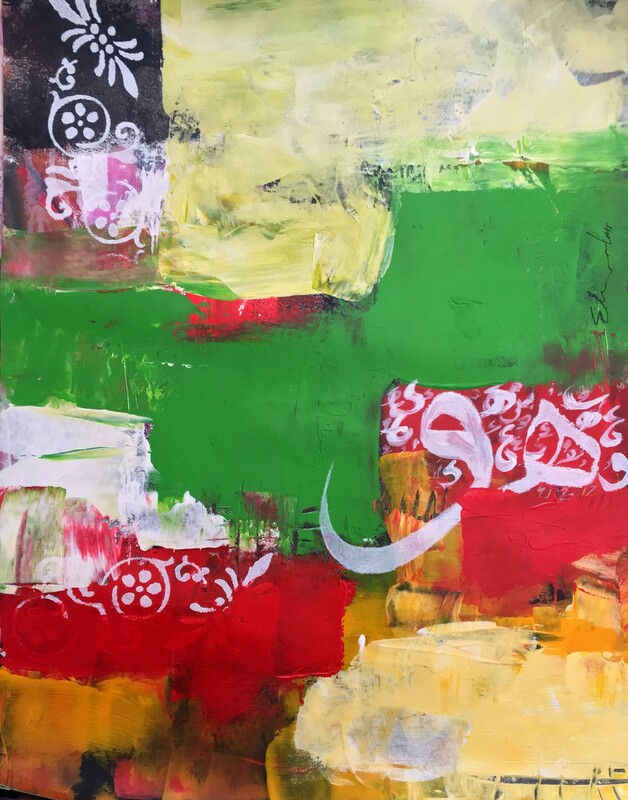 Shareef Sarhan is a founding member of the Windows for Contemporary Art group in Gaza. As part of his efforts to bring art into the public space, Sarhan worked on producing Gaza Lighthouse, a 2016 project based on reusing the environment and war remnants to build the first ‘art’ lighthouse for Gaza. The positive public reaction to the project proved the success of Sarhan’s goal to transfer art from the showroom to the street. He has also won awards for his professional photography.